This is why you needed to sleep on your left side! Read This! Home / Health / This is why you needed to sleep on your left side! Read This! It has been the mindset of every person in the world that if they could sleep well at night then there is a high chance that their body is in good shape for it has rested well. However, having a good quality sleep does not necessarily mean that the position they are sleeping on is good for the body. 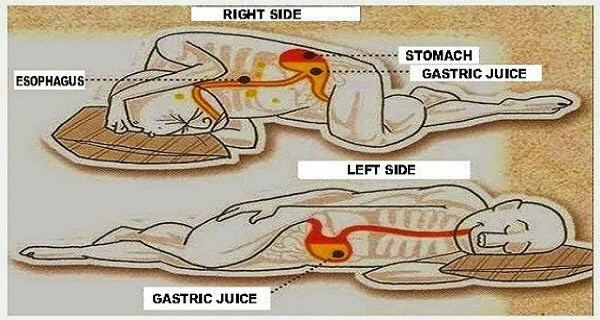 Are you aware that by sleeping in a right position your body could be healthy because the internal organs can function well. Based on the studies that were conducted by experts, the results show that the person who sleeps on their left side tends to be healthier than the ones sleeping of the right side. Since the left side of the body contains the more dominant lymphatic system. It tends to clear the toxins out of the body. The gastric acid tends to stay on the stomach rather than going up to the esophagus reducing the risks of having cancer in the esophagus and stomach.